Summer is coming ...hopefully again and again! 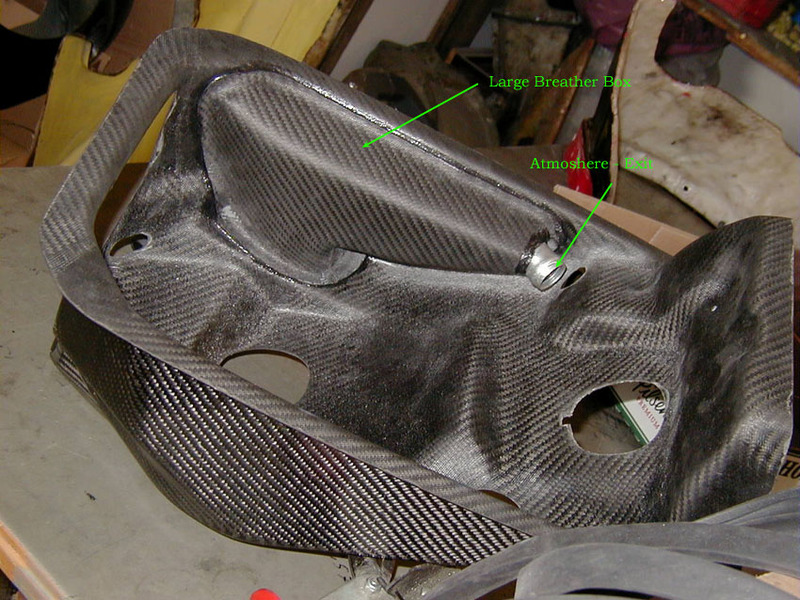 I always forget to drop the latest results of Power increase by my Airbox here . Even the dynorun here from JD Hord http://hordpower.com is not the latest , it is at least a good one , because its a direct comparison of OEM and my Airbox .
" 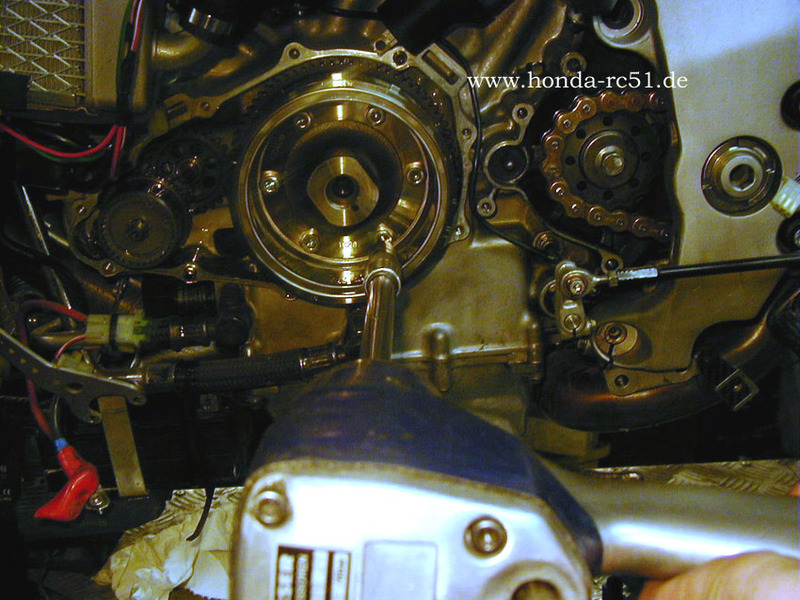 This is a RC51 with a full Yosh exhaust, PC3 and Wiseco high-comp pistons. 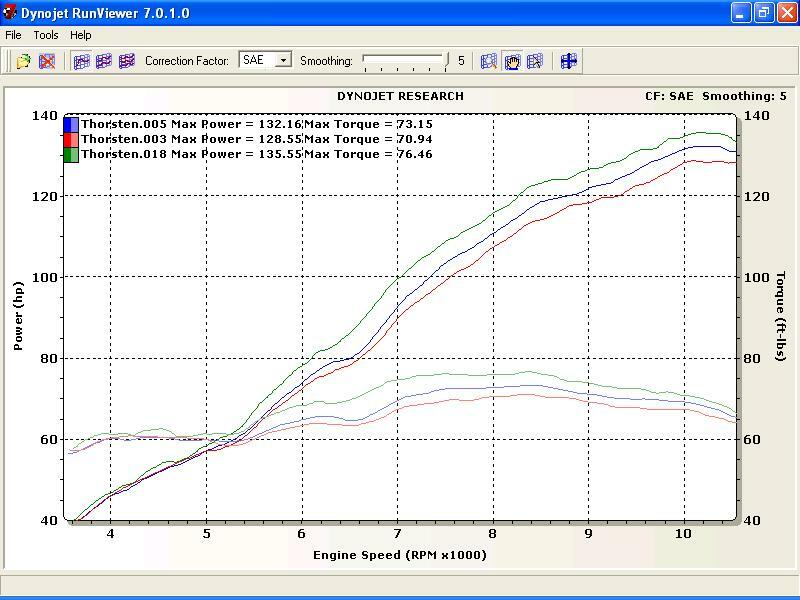 (running on VP Ultimate 4) The red line is with the standard airbox, the blue line is after the addition of a Thorsten Durbahn Airbox but without any remapping, and the green line is the Thorsten airbox with remapping. A worthwhile modification in my book." 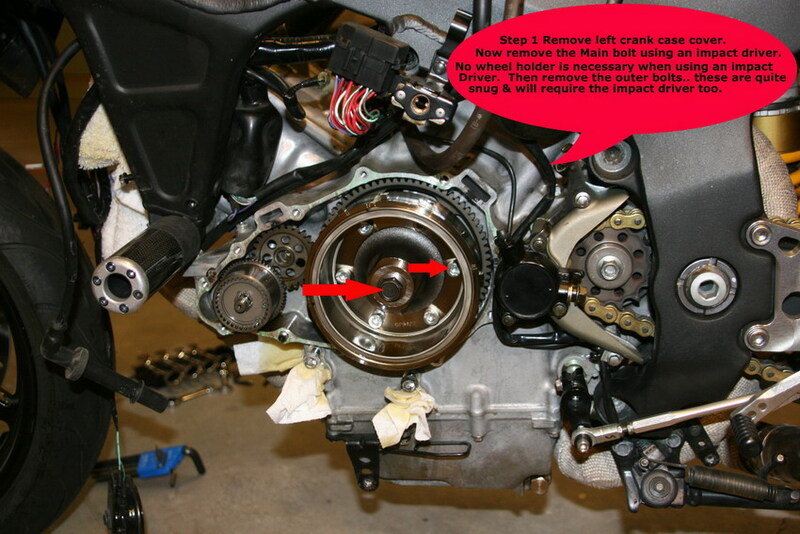 Coming soon - the Race Alternator installation Manual , pictured and written by Josh Kaufmann , with tips and tricks , here' Step ! Past year I've been on track very often , a buddy of mine with his RC51 participated a few Times too . But what I always noticed , when I've been behind him directly - accelarating out of the corner - somewhat at 160 km/h his Bike looked like it lost all it's Power , I passed him like he was on the brakes . Even a fiend with a CBR 600 from 1991 (ok , very light PC25 ) was able to catch him on the brakes close before the corner . 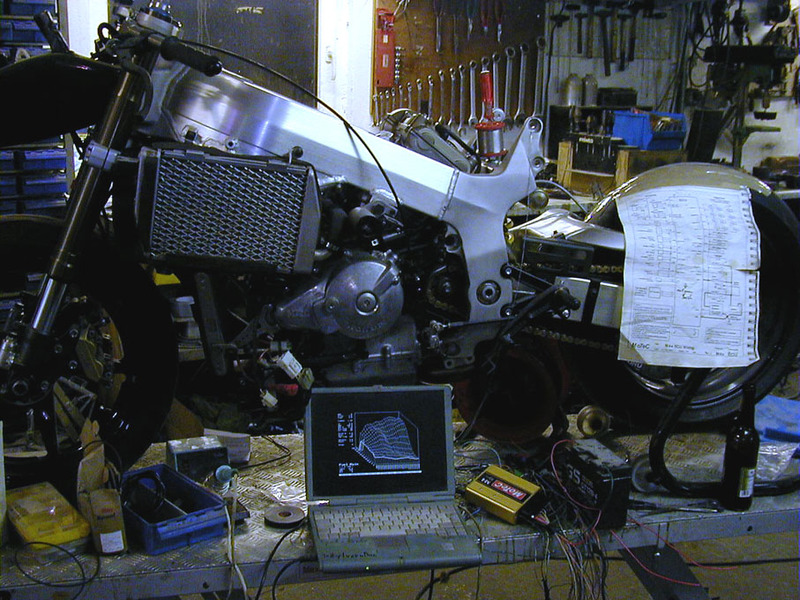 This Bike was tuned by someone in Germany with high-Comp Pistons , then some porting of Intakes , adjustment on a Dyno with PCIII , which someone "knowledgeable " made . Evening then on track I said to him " something is wrong , let me check your Engine , for what has been done " , " the Acceleration you have is so bad , that somewhere must be a failure " . 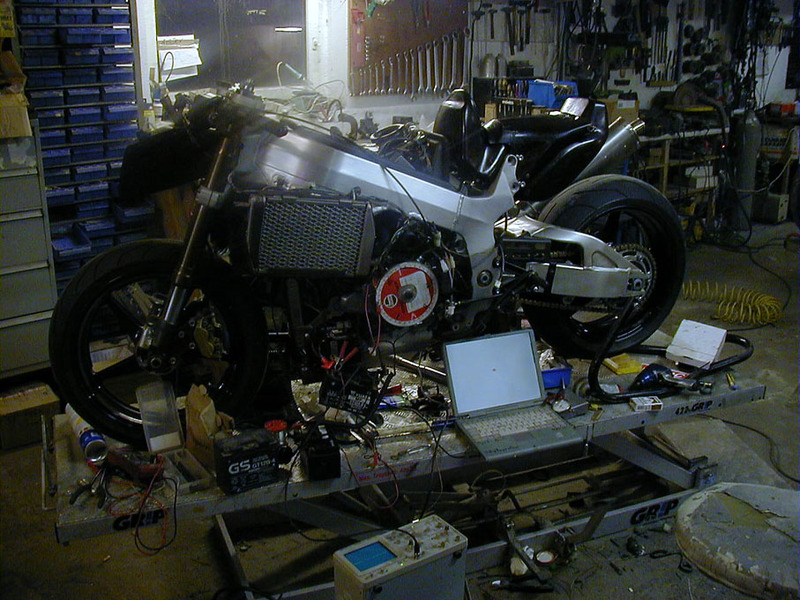 Well - as you might know , I like too SEE , what has happened on track , so after some beer we decided to install a Motec with one of my Files which I have developed for RC51 . Got some first Impressions from my buddy a few days ago , test ride on street , he said , that the Bike is easily lifting front wheel on 2nd gear ( the Bike is not geared short ! ) , which has never happened before . 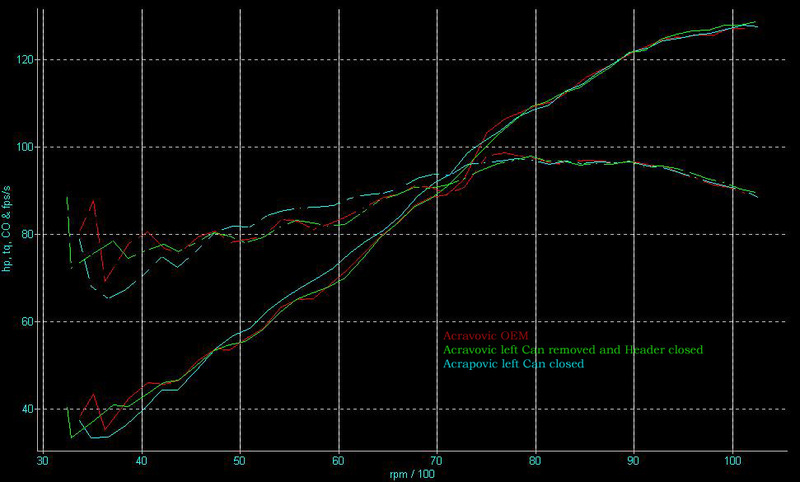 Ok, I additional have installed my Race-Generator , but I do not assume , that only the Generator has such a huge effex , so - even his mapping needs to be slightly adjusted , what I've seen from the Data-recording -it looks like the swap to a fully programmable ECU was the way to go. I drop it here . Got asked from buddies and visitors , that the Update-frequency of my Websites becomes less and less , but this does not display whats happening behind the curtain .Anyway the structure of my whole Websites and the business will be re-organized this year . It makes no sense for me . Of course I like to if people enjoy what I'm building , but at a level , where I only reply E-Mails , then on Wednesday start to pack the Parcel for next shipment on Monday there's no Time left over for development . And development is , what I HAVE to do , so I hope you're able to re-enact , that I try to move everything into direction of a Shop. I want to have my hands free for sanding , the head for development , doing drafts , for new things never done before , and so on . 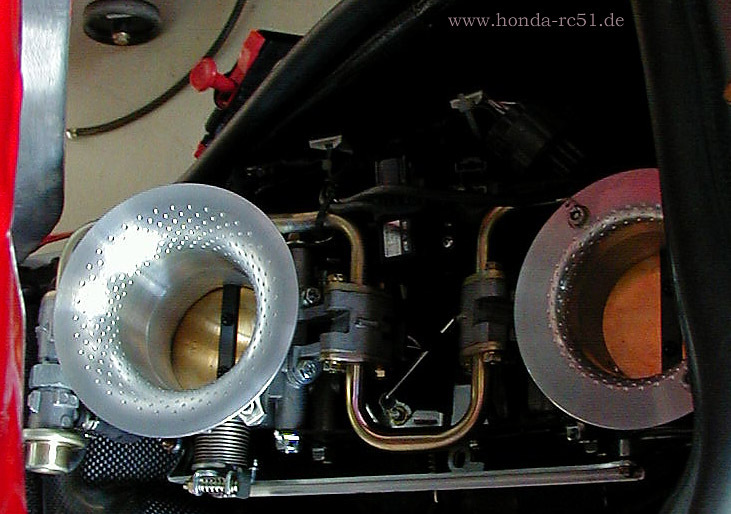 Honda Hawk GT - trying to reach 140 kg or even less with fuel and starter , Monocoque ...... and so on . 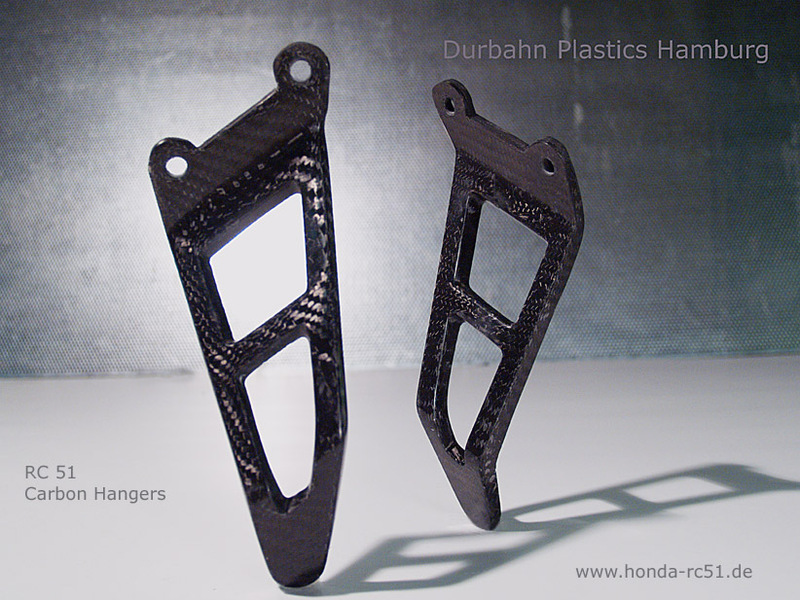 They'll be made here in my workshop under my guidance , if you're interested , drop me an E-Mail. 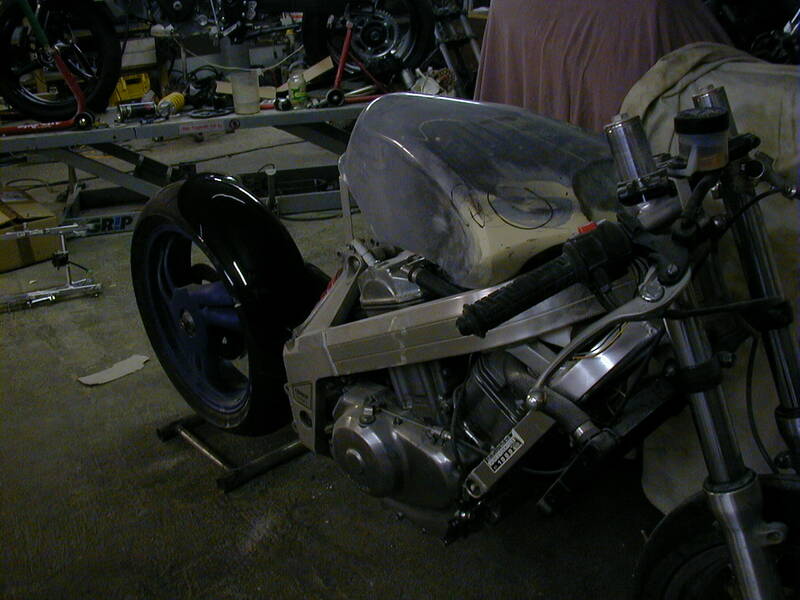 Everything here may take longer here than expected , but it took a couple of Tailsections to fab to know where to pay more and where less attention , to decide all the cutting-lines , to work out the correct length of spacers regarding thickness of the Tailsection itself , and so on . I always underestimate the demand for the # of Crashprotectors I fab ( I'm sold out again) , so I decided now to increase the Volume of the new batch drastically - that should last a while .The Material is ordered - they're available again end of February. When I started to mount the Race-Alternator on my buddies Bike I thought it's a good Idea to follow the assembly with a bunch of Pics . So now I finally can deliver a Picture -Series of the Installation , including some hints , tricks and a List of necessary Tools . Knowing what to do the Installation has been at 1.5 hrs . I got asked from US to France to Hungary .. etc , that the Parcels I've sent still have not arrived . It looks like the X-Mas trouble has caused and is still causing a big delay . 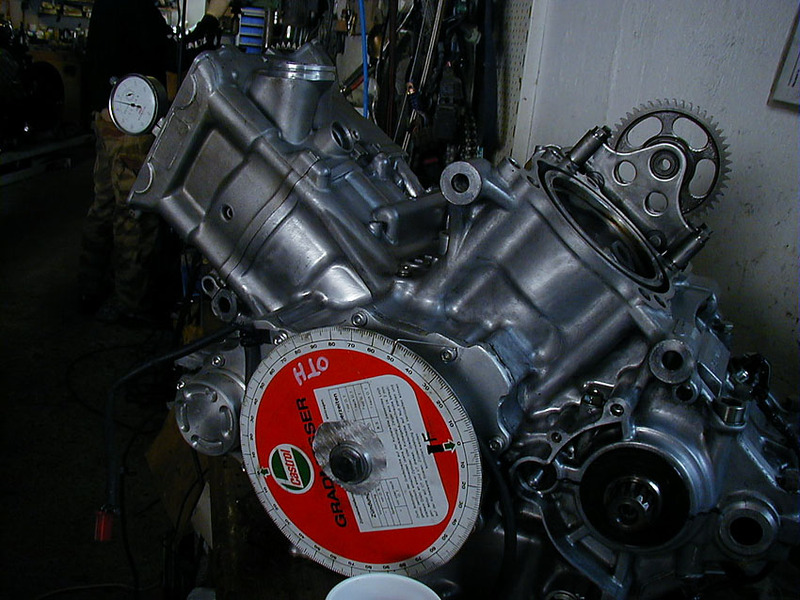 December 26/2006 : the Motec M4 wire harness for a buddy of mine is done , everything checked with a scope . Only the Quickshift-Assembly + Shiftlight needs to be mounted , then it's done . Such a work takes of course 2-3 days , but it's worth the work . 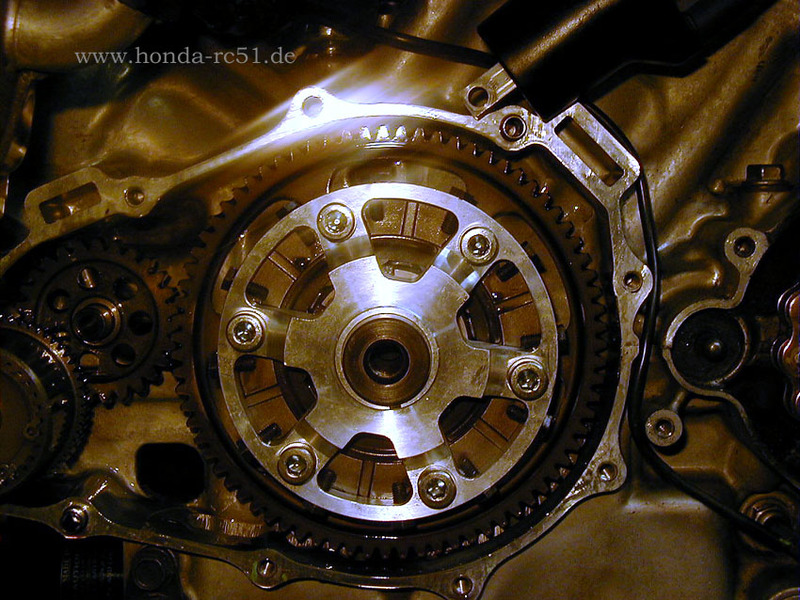 This Time I've re-checked the Motec-adjustments for a OEM Alternator , before I installed the racing Alternator - to be sure 100% , that the crank Index Position would even work with a std. Alternator . 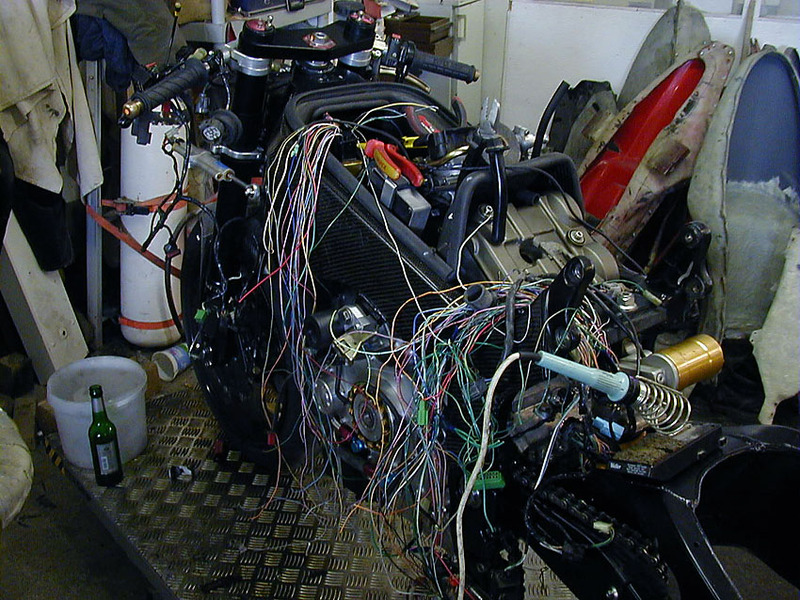 I think past 5 years it has been the same work during X-mas , wiring Motecs . I'm not sure if I have ever shown or explained it here inside my web , but I'm searching the Picture-Gallery's on my Computer since a few days, and sometimes I detect something I estimate as worth to show up here . I.E. 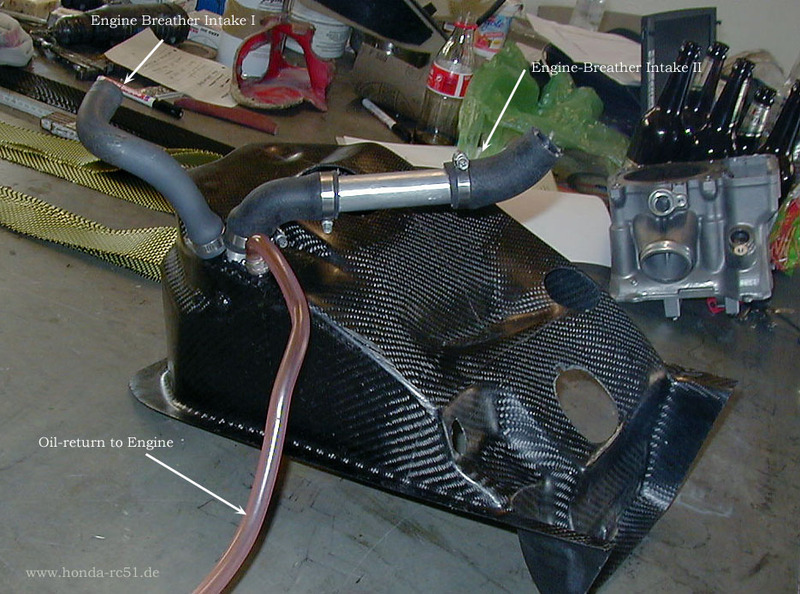 : the Engine-Breather/Airbox Solution I ride on my Bike.What you see here is 2nd Part I have shaped for my Airbox (all versions ), wich will be bond into the Airbox together with 4 gaskets ( Breather I + II , Oil-return-Breather and Atmosphere-exit ) . Inside this large Breather Box is a seperation-System for the Oil-Fog to condensate a flow back into the Engine .I have necer advertised this inside my Products-Section, because it's such a work with lots of different steps . 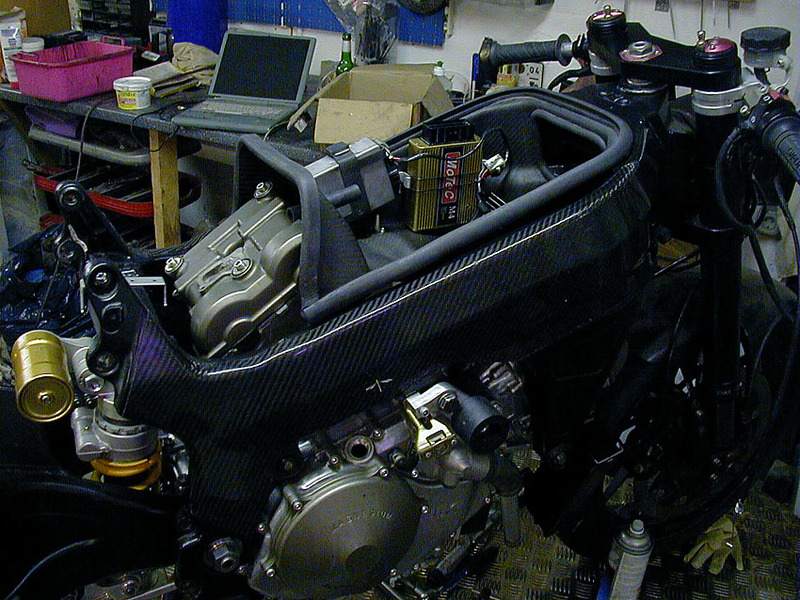 2 : Been bothered from those lotta wire left side of the Engine case ,wanted a clean look, so put all into the Airbox . There's Volume enough , more than 32 Liters , so it does not count if I use 3/4 Liters for the rectifier, the Motec, and the Converter . That's the advantage of the Motec , one Box , and all inside ...no addittioanal Powercommander-Box , no shift-light box, no Quickshifter-Box, no logging-Box .